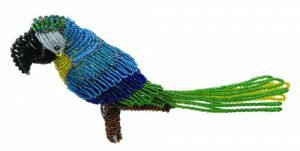 Our fair trade beaded pelican figurine is available in 2 sizes. The small collectible pelican figurine is 6-1/2″ tall with a 9″ wingspan. The large pelican is 14″ tall, 16″ long with a 13″ wingspan. 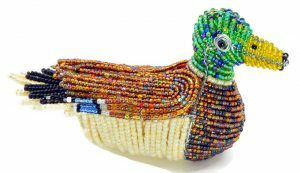 Our collectible beaded pelican figurine is the perfect animal lover gift! Are you looking for a unique piece for animal home decor? 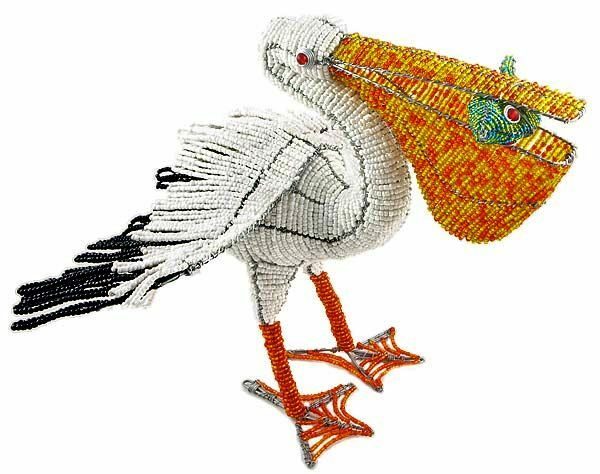 This majestic beaded pelican creates a beautiful talking piece! 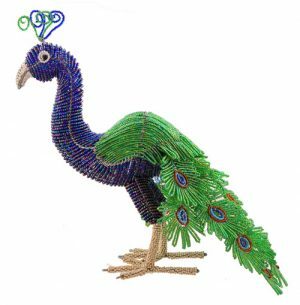 Enhance your garden with this amazing animal garden sculpture! 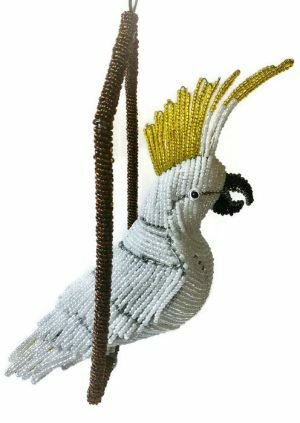 Set this wonderful beaded pelican figurine on the patio, in the garden or on the grass.